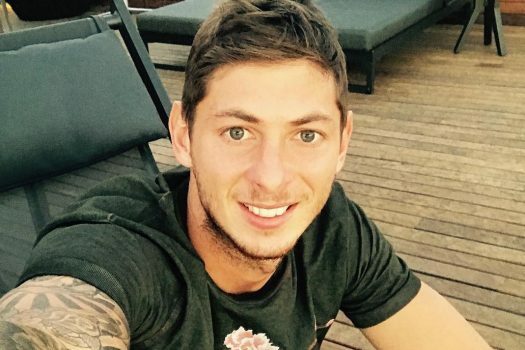 It has been confirmed that Emiliano Sala, a player with Cardiff City in the English Premier League was on a light aircraft which disappeared between France and Cardiff. There were speculations that the 28-year-old Argentine striker was one of two people on board the Piper Malibu which went missing off Alderney in the Channel Islands on Monday night. The flight reportedly disappeared off radar near the Casquets Lighthouse, which is located 13kilometres north-west of Alderney and which is infamous among mariners as the site of many shipwrecks,. Cardiff City, which signed the 28-year-old from French club, Nantes on Saturday said it was seeking clarification as to what happened. This is even as the search for the missing aircraft is ongoing. The Police in Guernsey however said there was no trace of the missing aircraft which departed from Nantes at 19:15 GMT and had been flying at 5,000 feet when it contacted Jersey air traffic control requesting descent. The plane lost contact while at 2,300 feet. They added that the search for the aircraft was suspended at 02:00 GMT due to strengthening winds, worsening sea conditions and reducing visibility. Cardiff signed Sala for a club record fee of £15 million after protracted negotiations with Nantes. He has been among the top scorers in France in recent years and had scored 13 league and cup goals this season, third behind Kylian Mbappe and Nicolas Pepe. Ironically, the most recent tweet from Sala’s Twitter account was a picture of him and his former team-mates captioned “La ultima ciao”, translated to mean “the last goodbye”.